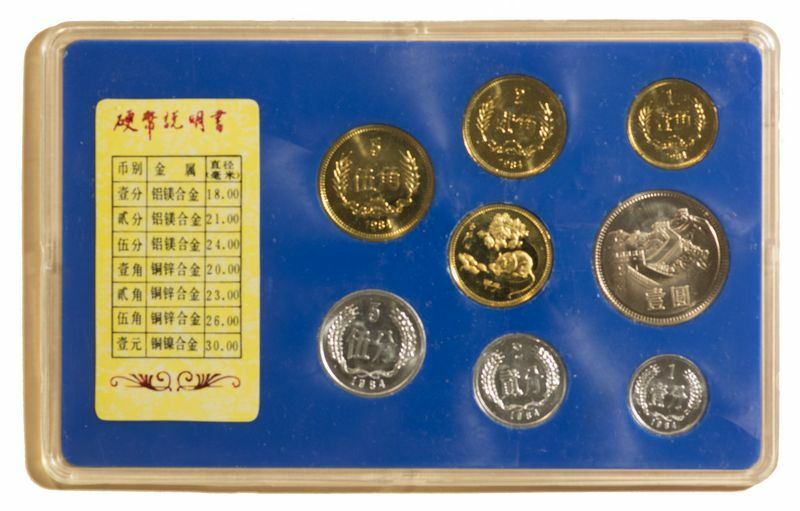 1984 Great Wall Shen Yang Mint 8 Coin Proof Set, including 1 Yuan; 5, 2, 1 Jiao; 5, 2, 1 Fen and one zodiac coin of Year Rat. 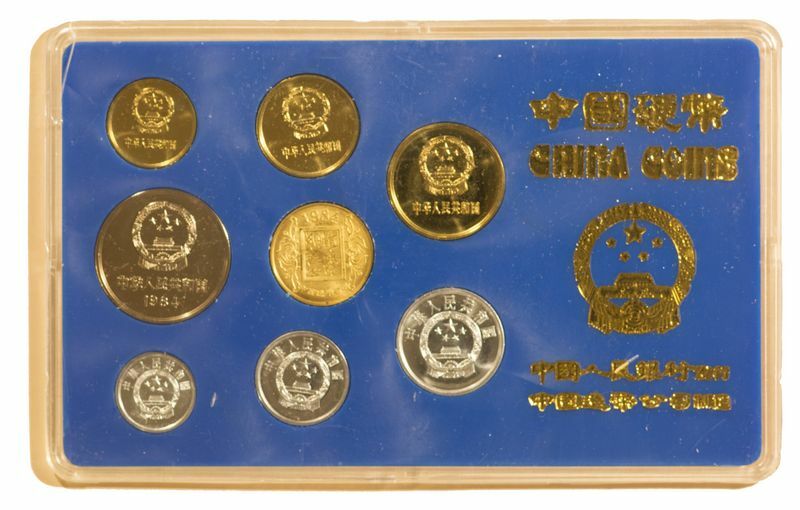 The 1 Yuan coin has large date. 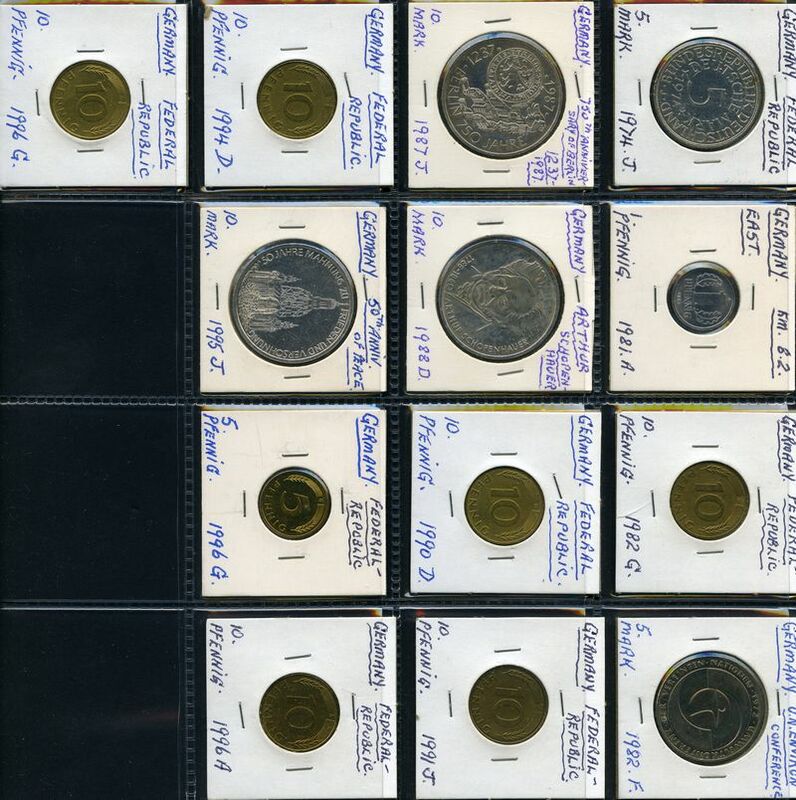 Scarce, most sets were presented to dignitaries. Fold on back flap of outer folder and small crack at top left of plastic case. 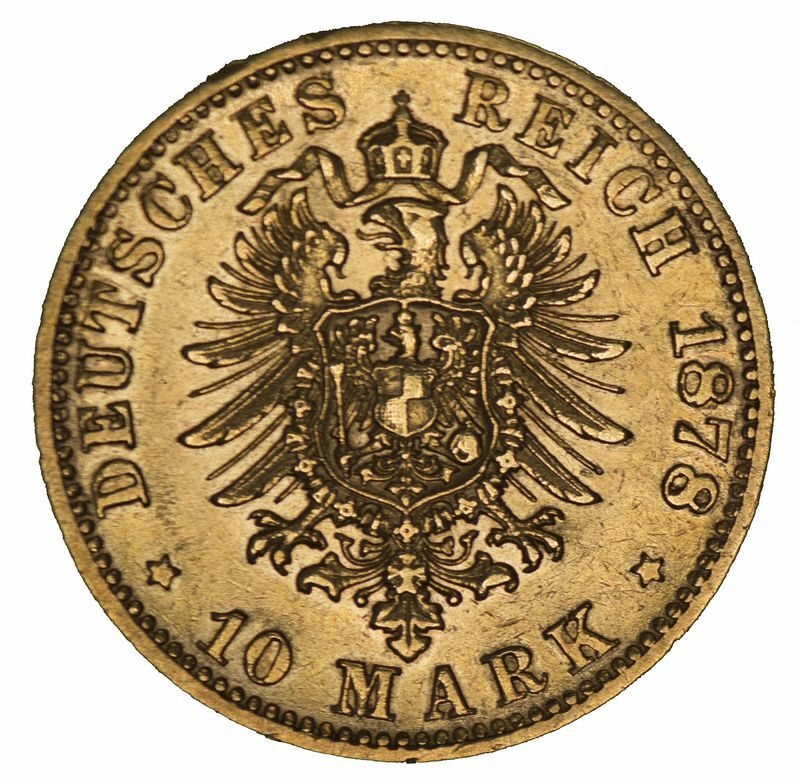 1878 10 Mark Gold coin good VF. Contains 3.982 grams of .900 pure gold. 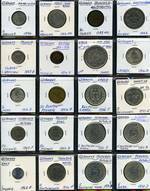 1871 1 Thaler Victory of France Silver coin VF. 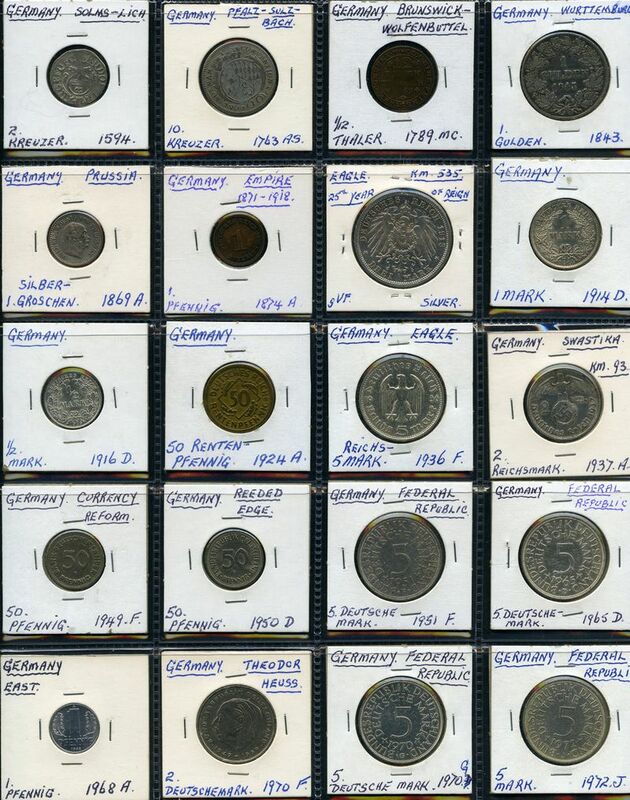 Selection of 33 coins from 1594 to 1996, including German States Solms-Lich 1594 2 Kreuzer F, Pfalz-Sulzbuch 1763AS 10 Kreuzer Car.Theodor D.G. 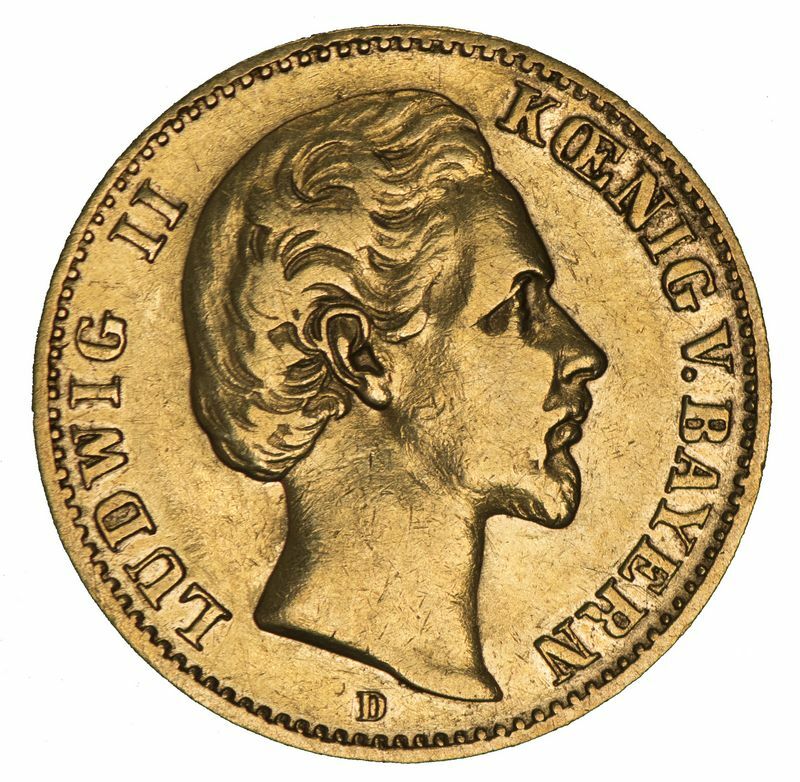 VG, Wurttemberg 1843 1 Gulden Wilhelm I aVF, Prussia 1913 3 Mark Wilhelm II 25th Year of Reign gVF, Germany 1914D 1 Mark Unc, 1916D ½ Mark Unc, 1936F 5 Reichsmark Hindenburg VF, 1937A 2 Reichsmark Hindenburg VF, 1951F VF, 1965D VF, 1970G EF, 1972J EF and 1974F EF 5 Mark, and 1987J 10 Mark 750th Anniversary of Berlin Unc, 1988D 10 Mark Schopenhauer Unc and 1995 10 Mark Peace and Reconciliation EF Silver coins. 1999 10 Mark Johann Wolfgang von Goethe, 2000 10 Mark 10th Anniversary of Reunification and 2001 10 Mark Federal Constitutional Court Silver coin and stamp folders, 2000, 2001/2002 Mark and Euro, 2002 Euro Zone and 2005 coin and stamp folders, plus Great Britain 2009 £5 Restoration of the Monarchy Unc coin folder. 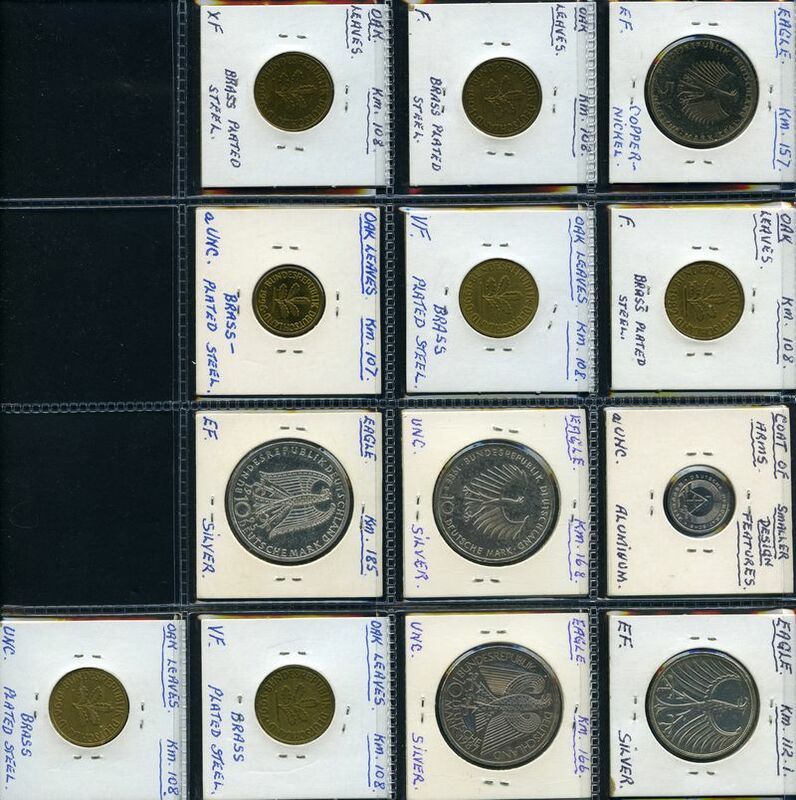 Also small range of modern MUH German and Japanese stamps. 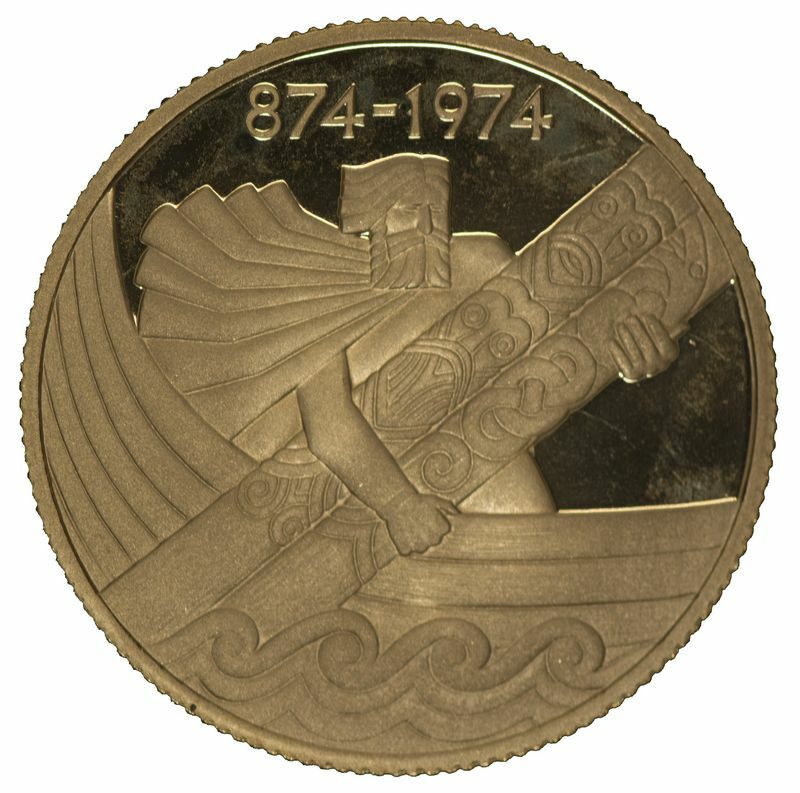 1974 500k and 1000k Silver and 10000k Gold 1100th Anniversary of Settlement proof coin set in presentation case, with certificate. 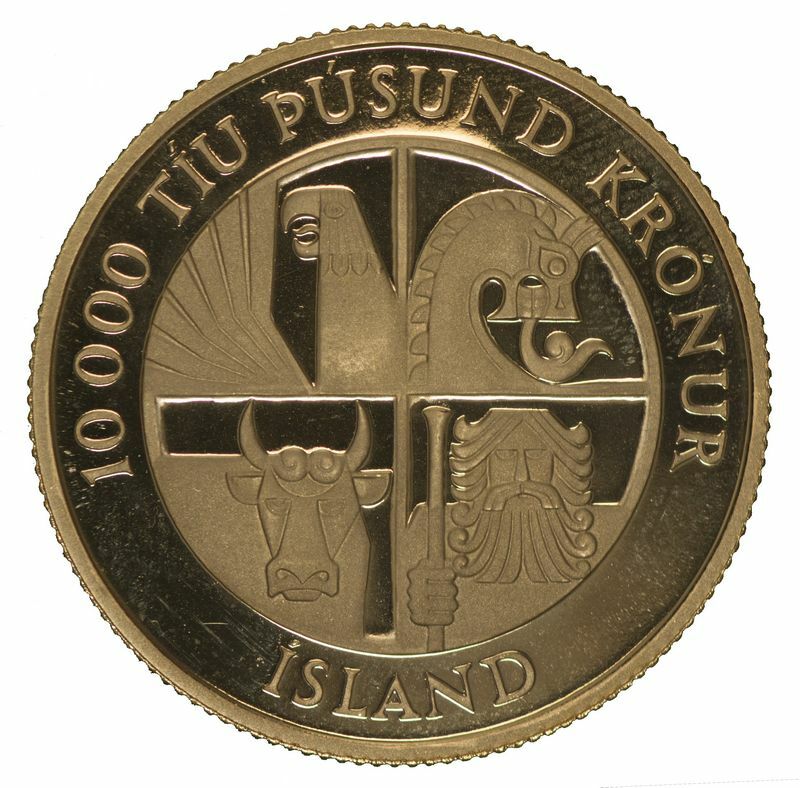 10000k contains 15.5gms of .9000 pure gold with actual gold content of .4485 oz. 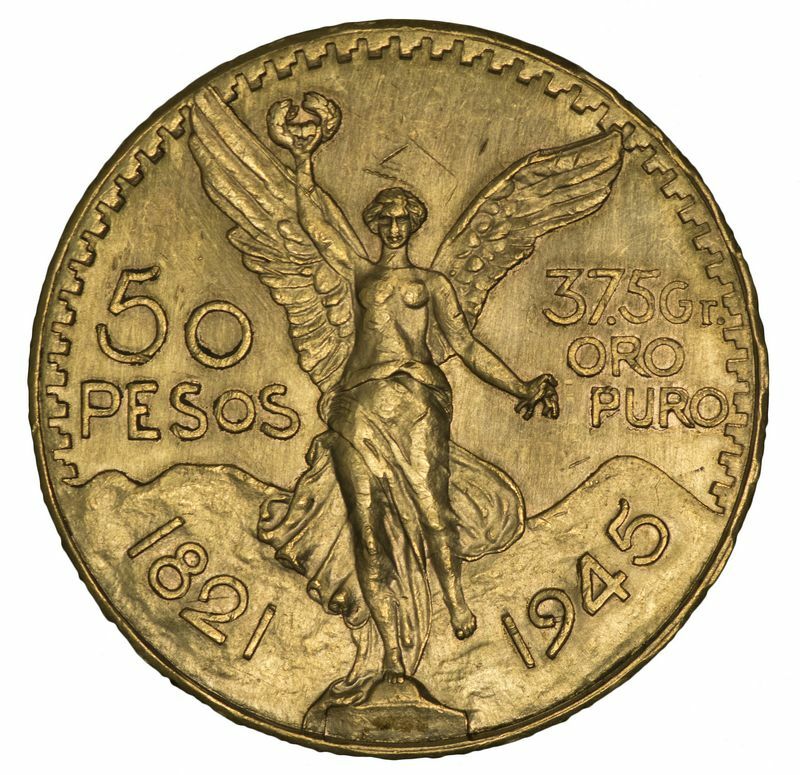 1945 50 Pesos Gold coin Unc. 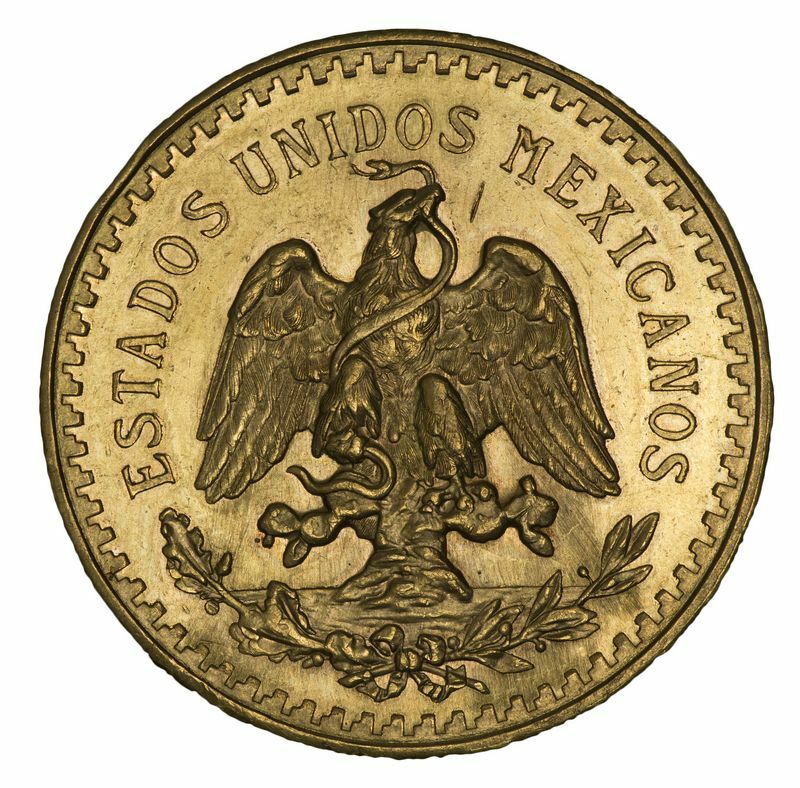 Contains 41.6666 grams of 0.9000 Gold, giving an actual gold content of 1.2056oz. 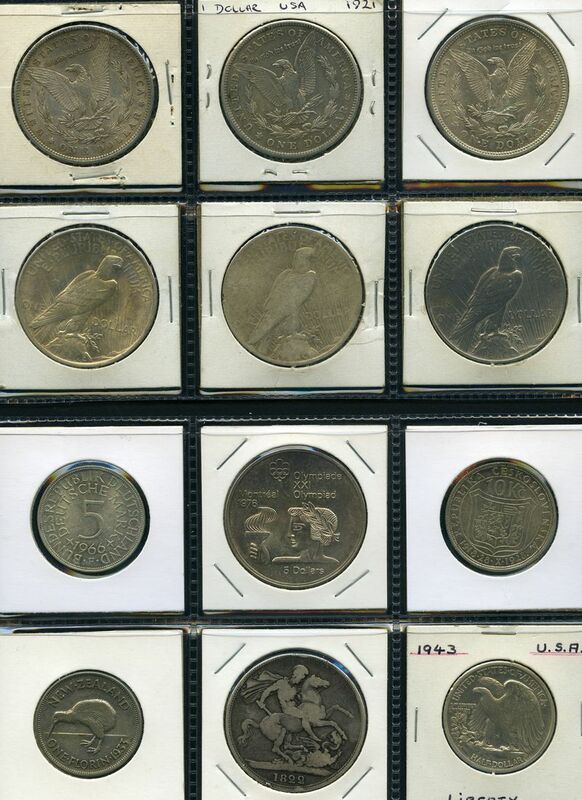 Miscellaneous range of Coins, Medallions and Banknotes including Australia 1996 $5.00 Bradman RAM Proof Coin, 1997 Bradman, 1998 Bass & Flinders and International Year of the Older Person Stamp and Coin PNC's, 1984-1992 $1.00 Five Coin set, 1994 $1.00 Dollar Decade C Mintmark (2), 1996 $1.00 Henry Parkes C and S Mintmarks and 1997 $1.00 Kingsford Smith C Mintmark coins Unc in folders, 1994 $5.00 Enfranchisement of Women and 1996 $5.00 Bradman Unc, Hong Kong Franklin Mint 1997 Return to China Stamp and Coin PNC, Western Samoa 1974 Proof Coin set, a small selection of banknotes, RAAF No.1 Radar Surveillance Unit, USS Blue Ridge Chief Petty Officers Mess and USS Blue Ridge 7th Fleet 2010 Khaki Ball Medallions and more. Carton containing 2.6 kgs of coins from a range of periods in mixed condition, mainly from Great Britain, New Zealand and U.S.A. including a few silver coins and a few medallions, a small selection of banknotes, a bag of Australian 1¢ and 2¢ pieces, Australia range of mostly uncirculated Decimal coins with a face value of $47.70 including a duplicated range of 50¢ commemorative coins and a few coloured $2.00 coins, Great Britain 1970 and 1971 Proof sets, Western Samoa 1981 10 Tala President Roosevelt Silver Proof coin in case and Cook Islands 1972 Uncirculated set with slight faults. Also small collection of Redhead Matchbox labels pasted in 2 albums, U.S.A. 1978 Commemorative stamp set, Australia 1981 22¢ Waltzing Matilda sheet of 100 and a few First Day Covers. 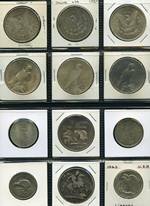 Small selection of Silver coins mainly from Canada, USA and Ireland, including several proof coins, plus miscellaneous range of Foreign coins. 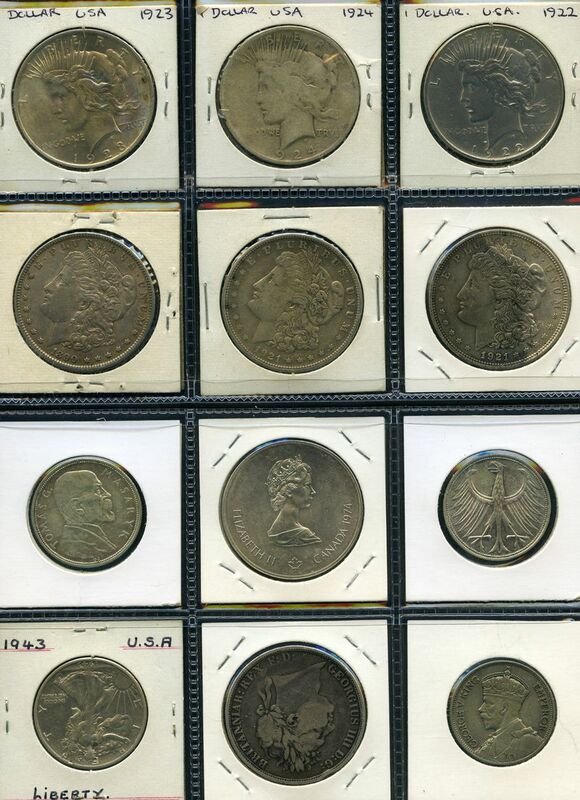 Noted USA 1890s, 1921, 1921s, 1922, 1923 and 1924 Silver Dollars. 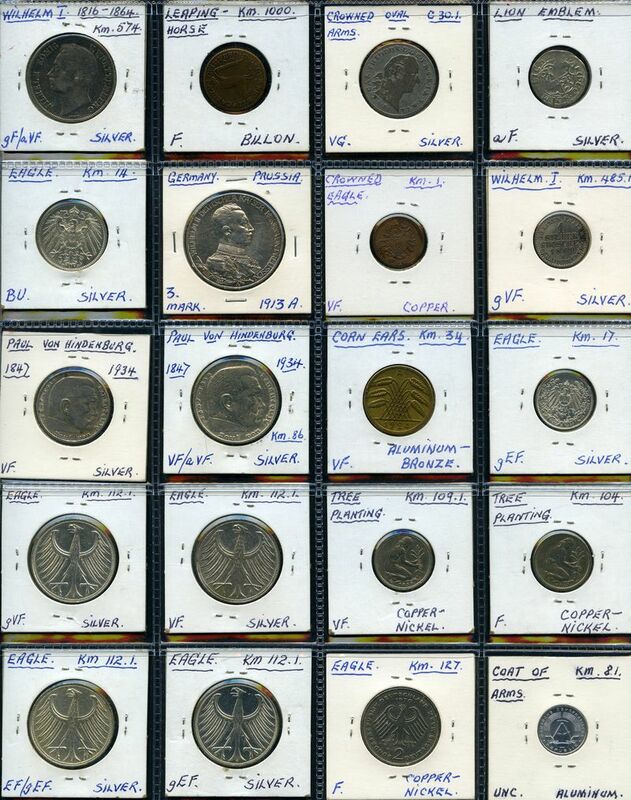 Actual Silver content 440g.